The early twentieth century changed the ways people in China talked about what’s funny. The Age of Irreverence is about how and why. 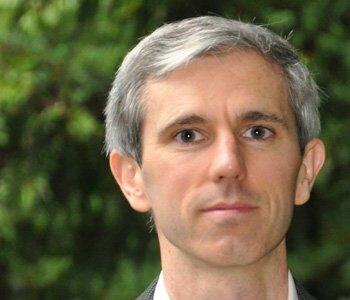 Part of the focus is historical: What changed? How did Chinese humor become modern? This thread of the story traces the effects of forces like urban migration, an expanding popular press, translation of foreign works, political instability, and the advent of forms like cartoons and cinema. Shanghai became an industrial hub, drawing internal migrants, fueling advertising, and, before long, giving rise to a farcical sensibility focused on hoaxes, get-rich-quick schemes, and media swindles. Stage comedians pooled their resources to buy a second-hand movie camera and produce slapstick shorts. Amusement halls popped up in major cities, drawing in the man on the street with an attraction imported from the Netherlands: the ha-ha (or funhouse) mirror. We find plenty of changes like these in the quantity, quality, and expressions of Chinese humor. 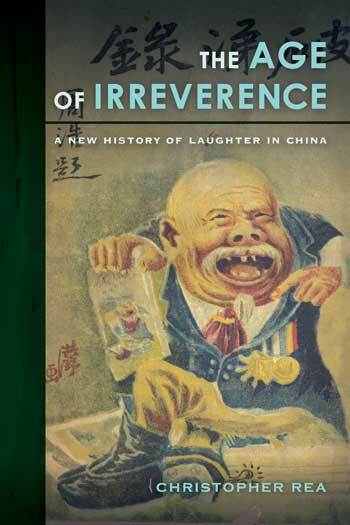 Then there’s the inverse question: How did humor change modern China? Jokes sold newspapers. Public ridicule caused celebrities and politicians to change their behavior. A vogue for “humor literature” in the 1930s generated a crop of humorists or, in the words of one skeptic, “multiplied the number of clowns playing with brush and ink.” Satirists unwittingly supplied caricaturing techniques and categorical logic to later political campaigns of the Mao era. Underlying all of this is my interest in language. The early twentieth century was China’s vernacular moment, when using classical Chinese gave way to writing as one spoke. The resulting chaos and democratization of discourse were both a boon to humorists of all stripes. The period I focus on—roughly the 1890s to the 1930s—saw the emergence of a variety of comic cultures; I focus on five, each symbolized by a particular term for humor used in China at that time. I argue that amidst the trauma and unruliness, a spirit of irreverence—meaning an insouciant attitude toward convention and authority—helped to usher China into the modern age. And I explain why it matters that one term, youmo, came to symbolize the new gold standard for humor.